When I go on my honeymoon I’m actually not planning on having any extensions in as I’m going to wear clip ins on my wedding day for added volume (although this may change closer to the time as you all know how much I LOVE my Great Lengths). The good thing about this is that I get to use shampoos and conditioners that I wouldn’t usually be able to use when I have my extensions in. With that in mind, I headed straight over to the Lee Stafford stand and picked up the Hair Growth Shampoo (£6.99), Conditioner (£6.99) and Hair Treatment (£7.99). When I’m not wearing my extensions, I love to use products that are very nourishing and help my hair to grow. I’ve tried these in the past and really enjoyed them so I thought that they would be a good option for my honeymoon, given their size as we’re away for 3 weeks and there should be just enough product for me to wash my hair each day using these and a hair mask a couple of times each week. Soap and Glory had a 3 for 2 offer on so I seized the opportunity to purchase a couple of products to take away for Mr WLL and I to use on our honeymoon. The Sugar Crush Body Scrub (£8.00) and the Sugar Crush Body Buttercream (£10.50) were obvious choices as we absolutely love the scent. It is my personal favourite from Soap and Glory and if you use the body wash, body scrub and the body butter after one another, they are a great way to layer the scent. I also bought a couple of bottles of the Sugar Crush Fresh and Foamy Body Wash (£6.50) which isn’t to take on honeymoon with us but just to use in our bathroom at home. I always try to stock up on these and the body scrub when they are on offer as it saves me so much money. My friend who was shopping with me kindly let me have her free one as she picked up a couple of products on the 3 for 2 offer too. An absolute staple for me in my hair care stash is Batiste Dry Shampoo. When I’m not planning on travelling anywhere, I like to buy the huge 400ml cans as they last such a long time. These are in the Blush scent which is one of the more traditional Batiste fragrances as it has been around for yours. Blush is a floral and flirty fragrance that is super girlie and perfect for the spring months as they act as a floral hair perfume as well as reviving greasy hair. I got a great deal on these two as they are £4.99 each but were on buy 1 get 1 half price from Boots. 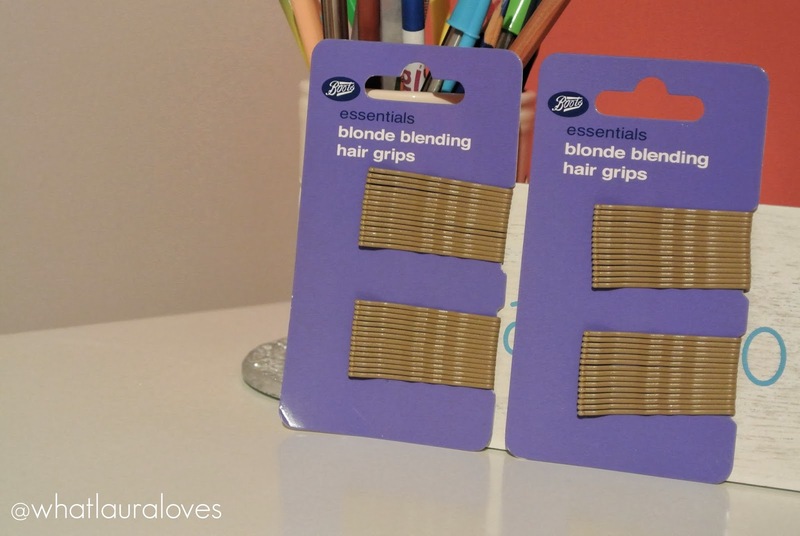 Speaking of hair products, I also bought two packs of matte blonde hair grips for £1.49 each. These are actually to use on my wedding day as I’ve started stocking up on the products I’m going to need early so that I’m not rushing when it gets closer to the time. There’s 30 hair grips in each pack and I doubt I’ll need more than 60 hair grips in total as I’m not wearing my hair up so these should be more than enough! What have you picked up in Boots recently? Next Post Is the Selfie Era Making Us More Body Conscious?